NEW RELEASE! MDF COMBAT ZONE SCENERY! PWORK MDF TERRAINS! Fantastic new release from Pwork Wargames! New MDF Scenery – Combat Zone 3D terrains! MDF Scenery – Combat Zone is a new line of 3D scenery terrain sets consisting in some different scenic elements made in MDF material, ideal for science-fiction settings of skirmish and close-combat fights; four Combat Zone kits are available, each one including Sci-Fi watchtowers, multi-floor buildings, walkways and much more. Each kit is composed by a different number of 3D scenic elements, from 2 to 4 terrain elements. Check also the kits bundles, to have more kits with a little discount! With MDF Scenery – Combat Zone you can make your battles more realistic and more engaging! You can set on your mat awesome fights on multi-level structures, covering behind bulwarks and shooting from ramps and platforms! Take a look to this new project on Pwork Website! MDF Scenery – Combat Zone Kits offer the possibility to quickly and easily build some different scenic elements, compatible with all major wargames, boardgames a role-playing games that use 28mm or 32mm miniatures, ensuring greater realism and visual impact on your wargame mat. The scenic elements are made in a lightweight and durable material, the MDF. The different parts of the 3D scenic elements are pre-cut and ready to assemble, which is recommended to make the use of PVA glue. The assembly instructions of each kit are included in the kit package. Check them on Pwork website, click here! Take a look to the other products and to all the new releases on Pwork website, updates are continuos and constant: find out our other products for roleplaying games, such as RPG Terrain Tiles, Scenery Terrains and RPG Board Games Mats! Check also the other fantastic Pwork Gaming Mats! Take also a look to these amazing video reviews of Pwork Gaming Mats! Like Pwork Wargames Facebook Page and follow Pwork on Twitter to be constantly updated on our products! Thank you and never stop playing! 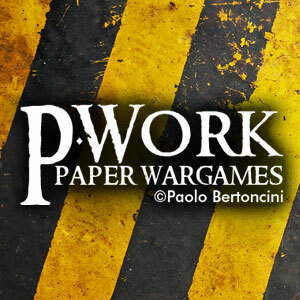 Pwork Wargames is a company that produces and sells products dedicated to wargames and boardgames, specializing in the manufacturing of Wargame Mats, PVC-made or syntethic cloth-made gaming mats for wargames, and battle mats or tiles for roleplaying games and boardgames.